How Simplicity Credit Union weathered the SharePoint storm and succeeded With OnSemble Employee Intranet. How Oswego drove engagement by designing activities that kept their employees returning to OnSemble. 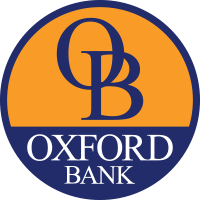 A Rebrand and CORE conversion meant they had changed radically; Oxford's Shared Drive Had Not. "We Save Money With Everything We Do in OnSemble. We’ve Shown Leadership Significant Savings." "The Way We Run All of our Training is Through OnSemble's Learning Management System." Learn How Passageways OnSemble is the SharePoint Altnernative Your Team Needs to Succeed. “It’s hard to actually demonstrate how much you care. And I honestly feel that Passageways genuinely cares that we have a great experience." See Why our Customers Love OnSemble. How Westby Leverages OnSemble to Keep Their Communications and Collaboration in Sync.